Meet Joan at ISE 2019. Hall 2, Booth B40 (with COMM-TEC GmbHB), Hall 14, Booth A100 (with EXERTIS Group), and Hall 14, Booth M230 (Joan in person). Because it’s the perfect opportunity to explore and mingle with Joan and other leading AV technology providers and systems integration professionals. One option is to contact the RAI Amsterdam Hotel Services. They will assist you in booking your accommodations, arranging flights and provide you with local bus schedules. 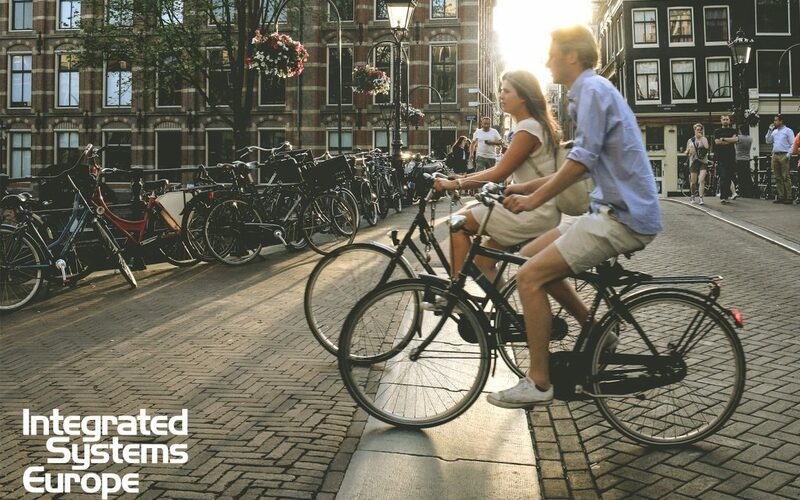 If you’ve opted to go at it alone, we’ve compiled a short list of tips and tricks to help make your stay in Amsterdam easier. The first thing you have to remember is that you won’t be there alone. Approximately 70.000 people will be attending ISE, so to minimize your exposure to the commuting chaos, book a hotel near the event itself. Any taxi or Uber will bring you to RAI Amsterdam and drop you off as close as possible. But be warned, for logistical reasons, the convention center only allows TCA taxis onto the premises itself, so allow for some walking time. Feel free to drop by the RAI reception, their friendly staff will be happy to call you a cab. Perhaps the most convenient and punctual way of getting to and from the event. Although RAI Amsterdam has its own station, the latter is currently under construction. Therefore, we advise you to travel by Metro Line 52. It leaves the Amsterdam Zuid station in the direction of Noord and from Amsterdam CS station in the direction of Zuid. Get off at the Europaplein station, which is very near to the convention center’s entrance. The journey from Amsterdam Central takes around 8 minutes. If you’re traveling directly from the Schiphol Airport, we suggest you hop on the train to Amsterdam Zuid and then change to the North-South metro line 52. To get to the event by bus, take the number 62 from the Central Station and get off at Europaplein. You can download the shuttle bus schedule here. For drivers, the most optimal option is to take the A10 orbital motorway and park in the RAI center’s underground car park. There’s a limited number of parking spaces – reserve one in advance. Right, now that you have your itinerary sorted, another very important tip to consider is creating a list of who to see and listen to at ISE. There are 1,300 exhibitors to choose from, so choose wisely. Last but not least, we’re giving away free tickets with our partner COMM-TEC. All you have to do now is to register here, and insert the code below when asked to do so. Get them while they are hot! Partners, future partners, friends and fans, see you at ISE 2019! P.S. Dress warm, it can get quite chilly in the Netherlands this time of year.